How does Shop Local work? The goal of Shop Local is to increase the range of items and services available on Bunz, and to support local businesses. To be a Shop Local business is to be a businesses that accepts BTZ. Shop Local businesses at launch include over 20 of our favourite cafes, breweries and retailers, and new businesses will be added weekly.  Local makers and artisans will also be featured as Shop Local merchants on the Bunz app. To learn more about becoming a Shop Local business, email hello@bunz.com.